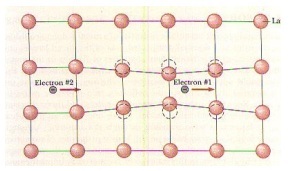 FAILURES OF CLASSICAL FREE ELECTRON THEORY. ASSUMPTIONS MADE IN QUANTUM FREE ELECTRON THEORY. TEMPERATURE DEPENDENCE OF RESISTIVITY OF A METAL. Describe how quantum free electron theory has been successful in overcoming the failure of classical free electron theory. * To get the file and/ answers, download the Digi Notes ELECTRICAL CONDUCTIVITY IN MATERIALS PDF Download.